Urimajalu Ram Bhat's eyes light up when he talks about the visit of one leader who he says left a profound impact on him. "I attended a public meeting at Town Hall in Mangalore where Pandit Deendayal Upadhyaya was addressing those who were contesting elections. I was completely in awe." Upadhyaya was one of the founders and the national general secretary of the Bharatiya Jan Sangh (BJS) at the time. 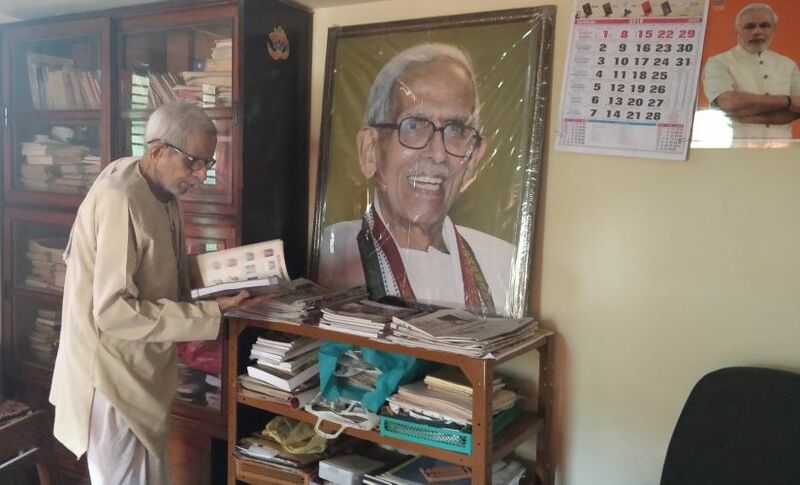 As the BJS was scouting for mass leaders with a strong connect with the grassroots (to become electorally relevant), they approached Urimajalu Ram Bhat, who by then had spent close to a decade working for the Rashtriya Swayamsevak Sangh (RSS). Bhat was from the bunch of initial recruits, who faced the brunt of the RSS ban in 1948. The assassination of Mahatma Gandhi in January 1948 led to a ban on the RSS and a nationwide crackdown on its leadership by the Congress government led by Prime Minister Jawaharlal Nehru. The Hindu nationalists were at the mercy of the government and RSS supremo MS Golwalkar was reduced to lobbying with Sardar Patel who eventually lifted the ban in July 1949 on the condition that they will not participate in elections. The unrest within the RSS grew over the fact that they couldn't participate in elections and directly confront the Congress. This led to the formation of the Bharatiya Jan Sangh (BJS) in 1951 which later morphed into the Bharatiya Janata Party (BJP). In South Kanara, the RSS had created a network comprising mostly of Brahmins across Dakshina Kannada through the efforts of the first set of leaders who came here, such as Anna Sesha. This became the first electoral base of the BJS. Jagannath Rao Joshi is often referred to as the 'Karnataka Kesari' for helping establish BJS in the state. Joshi played a crucial role expanding and establishing Jan Sangh in South Kanara along with RSS leaders like Karkala Sadashiva Rao, one of the founders of RSS in Dakshin Kannada. 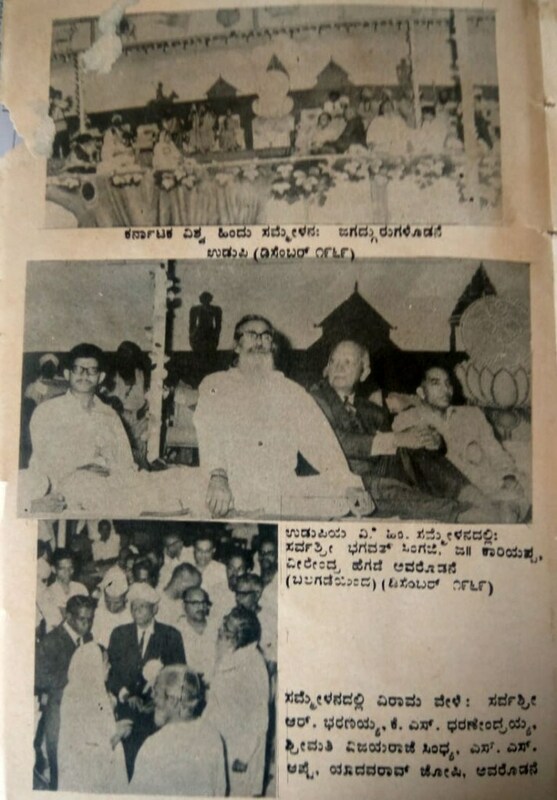 They organised regular public meetings featuring Joshi as a speaker in Dakshin Kannada along with other BJS leaders such as K Nagarajayya and U Rajaram Mallya. Bottom panel: IAS Officer R Bharanaiah, K S Dharanendraiah, VijayRaje Schindia, SS Apte and Yadav Rao Joshi along with MS Golwalkar. The recurring theme in Joshi's speeches were 'national pride' and the need to protect cultural traditions of India. BJS, for the first time, contested state legislative elections in 1951 with three nominations in the Mysore Legislative Assembly Elections but failed to register a victory. Dakshin Kannada also played host to the visits of national leaders of BJS, such as Upadhyaya, who visited Mangalore often. In November 1960, he took part in a public program in Dakshin Kannada where he spoke about prevalent corruption in the Indian National Congress and how the five year plans were failing. This program was organised by the initial leaders of the BJS in Mangalore: Ranganath Shenoy, M Vittal Kini and Airodi Radhakrishna Pai. Ram Bhat recollects how he was immediately taken by Upadhyaya's oratory skills. He remembers Upadhyaya being a source of inspiration for his generation of Hindutva activists. "Panditji developed an ideology he called 'integral humanism' and many loved it. But it was tough to implement at that time, as is the case even today," Bhat says. 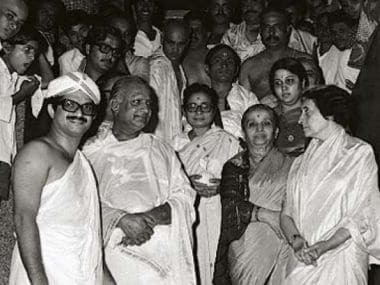 Upadhyaya proposed a methodology for the BJS in 1965 which aimed to "reconcile nationalism, democracy, socialism and world peace with the traditional values of Bharatiya culture and to think of all these ideals in an integrated form". "I was inspired beyond words. Nationalism should guide us, the interests of the Hindu Rashtra should always come first," Bhat asserts. Asked about the place for non-Hindus in a Hindu rashtra, he is quick to reply, "They were also Hindus before they converted, weren't they? Upadhyaya always mentioned this in his talks." .. We will have to convince the Muslims that Pakistan was the artificial creation of an unnatural State. They will have to be reminded of their ties with the earlier history and of their old Hindu ancestors. Efforts will have to be made to make them feel that it is their history." 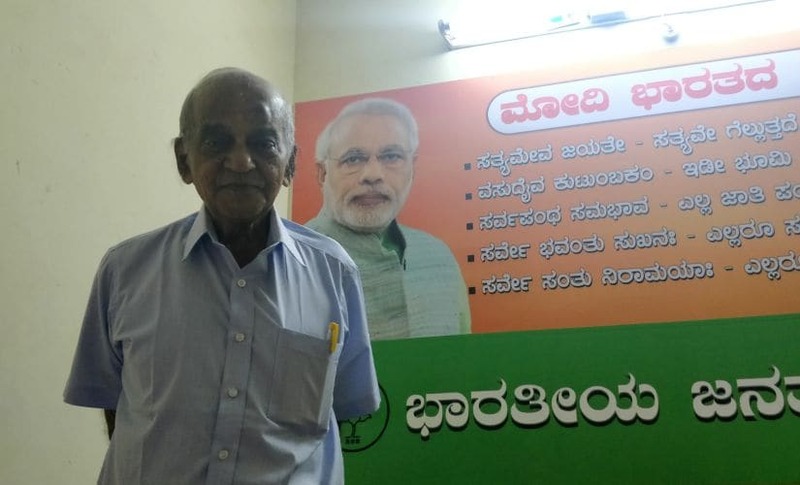 As the BJS was scouting for mass leaders with a strong connect with the grassroots (to become electorally relevant), they approached Urimajalu Ram Bhat (in photo), who by then had spent close to a decade working for the RSS. 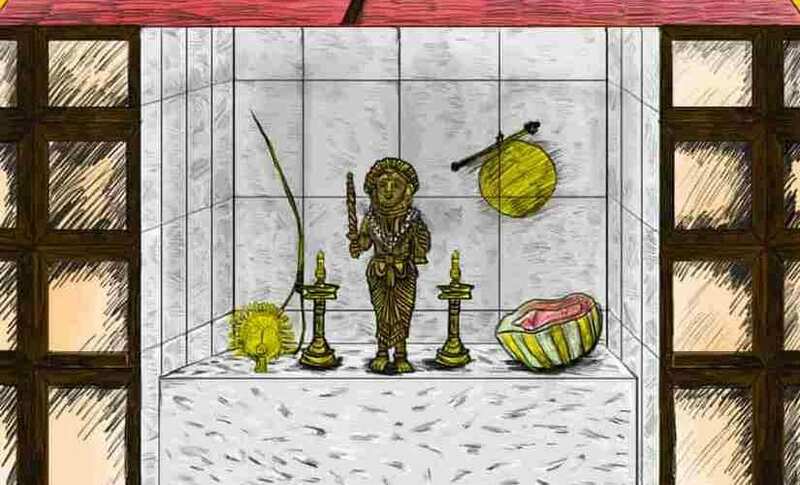 Bhat says, "After I met Upadhyaya for the first time, he stayed in my house almost every time he visited. He was such a hard worker, he worked till 2 in the morning." The hard work didn't instantly pay off and the Jan Sangh suffered a string of crushing defeats at the hands of the Congress. But Ram Bhat says that he knew back then that their success was just about matter of time. "We knew we will emerge," he said. Ram Bhat made his political entry by contesting in the 1957 Legislative Elections and takes pride in the fact that he was the only BJS candidate to not lose his election deposit. It took another twenty years for him to win an election. In the 1977 election, which was fought against the backdrop of the Emergency, anti-Congress sentiments were at its peak across India. Bhat was elected from his hometown in Puttur and became an MLA. He had contested as a candidate of the Janata Party — BJS had merged along with the other anti-Congress parties. As the opposition to the Hindutva ideology of RSS grew within the Janata party, the Jan Sangh split in 1980 to form the Bharatiya Janata Party. Ram Bhat joined the BJP and won in 1983 again. He continued to work for the BJP until 2008, when he quit the party and publicly accused B S Yeddyuruppa of being corrupt and undemocratic. He was famously quoted as saying that the Yeduyarappa and the Bellary Reddy brothers had failed the vision of "Ram Rajya" that his generation of RSS leaders had created for the party. He formed the 'Swabiman Vedike' and contested as an Independent in the 2009 elections from the Mangalore Constituency but lost to Nalin Kumar Kateel, the present BJP MP. When asked about what he thought about present-day politics, Ram Bhat says, "Our time was different. Things are no longer as how they used to be. It is all about money now. I don't want to say anything more." Someone who saw electoral victory before Ram Bhat is Gaud Saraswat Brahmin businessman Somshekhar Bhat from Udupi. A member with the RSS since 1941, Somshekhar attributes the initial spread of RSS in Udupi to the work of RSS pracharak MR Natoo from Nagpur. Somshekhar says that Natoo stayed in Udupi for ten years at the residence of Kochegar Narayan Pai and used it as a base to travel to villages, setting up branches and recruiting members. Like Ram Bhat, Somshekar joined the BJS as soon as it was formed and was part of their core team which scripted history for the party in India. "We were the first to win elections from Jan Sangh in the country. In 1968, we won 18 seats out of 23 in the Udupi Municipal Commission elections. I was one of the elected Councillors. The Chairman of the Municipal Commission was V S Acharya, who heralded the region to national fame," says Somshekhar. 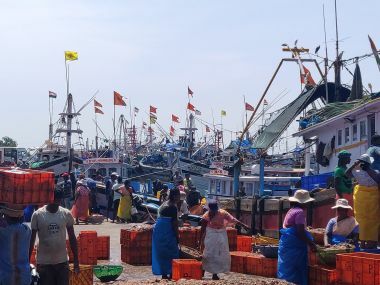 In those days, the Jan Sangh and the RSS saw rapid growth in Udupi owing to the growing support from priests who controlled the eight monasteries and had considerable influence over the voting public. On 18 October, 1947, at the grounds adjoining the Kochegar Building in Ajarakadu, the first district-level navaratri celebrations organised by the Udupi unit of the RSS saw participation of the Swami of Bhandarkeri Mutt and Vishvesha Teertha of Pejavara Mutt. They praised the work of the RSS and spoke about how Hindutva is the need of the hour. At 91, Somshekhar is the senior-most BJP leader in the region. "One of the oldest shakhas of the RSS in Udupi is where Shetty Hospital stands now. That is where I started my journey. By the time we won elections in 1968, we had a great amount of support because of the consistent work of the RSS." Recalling the second VHP Regional Conference organised by them under the leadership of Vishvesha Theertha of Udupi in 1969, Somshekhar says, "We were an 18,000-strong municipality. But here we were with an expected turnout of 30,000 from across the state. The night before the conference, 13 buses arrived from North Karnataka. We had no accommodation left. Veerendra Hegde of Dharmastala was the head of the reception committee. After discussions, we made a public announcement on the streets of Udupi, requesting residents to take in 20 members each. At 2 am, people opened their houses to delegates and by 4 am we were able to provide accommodation to all of them." Congressman and former minister HK Veeranna Gowda was the chief guest. The programme was inaugurated by the 1947 India-Pakistan war hero Field Marshal Kodandera Madappa Cariappa, who was also Independent India's first Army chief. Cariappa, a firm supporter of Hindu nationalism, spoke about the importance of Hinduism and said that those attacking Hinduism shouldn't be taken lightly. A member with the RSS since 1941, Somshekhar attributes the initial spread of RSS in Udupi to the work of RSS pracharak MR Natoo from Nagpur. The program, the first of its kind in undivided Dakshin Kannada, had dignitaries like Jayadevithaayi Lagade, who was the first female President of the Kannada Sahitya Sammelan and Vijaya Raje Sindhya, the Queen of the erstwhile Gwalior dynasty. The two women leaders stressed on the need for Hindu women to preserve Hindu culture by safeguarding their modesty, ending untouchability and protecting the cow. At the conference, the then Secretary of VHP YK Raghavendra Rai declared that 15,000 members from 18 districts across Karnataka had been brought back to Hinduism through shuddhi (purification ceremony). The VHP leadership also passed a resolution to financially support those who converted back to Hinduism and punish those who converted out of the faith by stripping them of all caste privileges. The news clippings from which this information has been gleaned did not elaborate on what methods were used to strip off the caste privileges from those who converted to other religions. The resolution also called upon religious and cultural organisations to re-convert people to Hinduism at the earliest. Finally, a national cow slaughter ban was called for. "Everybody was instructed to work on organisational expansion in their districts. The program was a grand success, people were inspired by the presence of important figures," Somshekhar says and quickly adds, "Also, the reason for our organisation to grow is the unflinching support of the Moghaveeras, the largest community in the district. Take a walk on Malpe beach, every Bhajani Mandali will have our people in it." Following Somshekhar's advice, I ventured out to Malpe Beach. As soon as I got off the bus, I realised I had multiple options — in front of me was an Ayappa Swami Mandir; on the other side, I spotted two more boards pointing to two differnt temples; I took a right, walked ahead and on my left was a Durga Parameshwari Temple; and a little ahead, a Shirdi Sai Baba Mandir. I walked ahead and took a left. I passed a Deiva sana which didn't look any different from the other mandirs. A coast surfaced a little further, but another board on the right pointed to a Ram Bhajana Mandir. The Bhajana mandirs weren't exactly big structures. They didn't seem to have an alienating effect on those who were in its vicinity, like the mutt structures in neighbouring Udupi had. 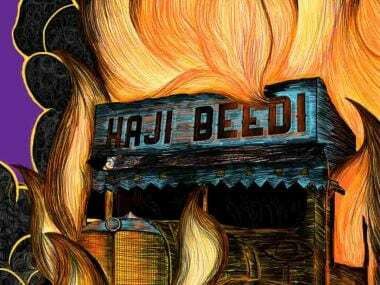 There were bars in the neighbourhood, the coast was a few metres away and the smell of fish fry was omnipresent. "Why so many Bhajana mandirs? How is one different from the other? Aren't one or two enough? "What is your problem? Nobody is complaining about all these bars, why do you want fewer Bhajana mandirs? Some space is there for us and our religion, for us to come together. Why do you have to question even that?"